A reminder that the Nelson competition early-bird discount runs out at the end of December (i.e. we have to have received payment by year's end). 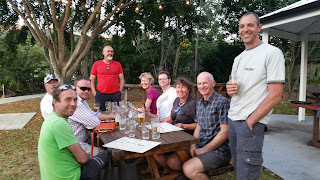 It is that time again where our 2015 AGM is being planned. This year it will be held in Wellington 21/22 November at the Brentwood Hotel in Kilbirnie. Unfortunately Elton John is playing in Wellington at the same time so please get your travel and accommodation bookings done ASAP for your delegate. We will endeavour to get some Wellington Club members to billet delegates if necessary. In the meantime it is time to get your thinking caps on and have a club meeting to determine if you have any remits to submit to this year's meeting. The last day for remits for the 2015 AGM is Friday 9th October. Please have your club's remits to me by the end of that day. Late remits will not be accepted. Please also include any nominations for Executive Positions. 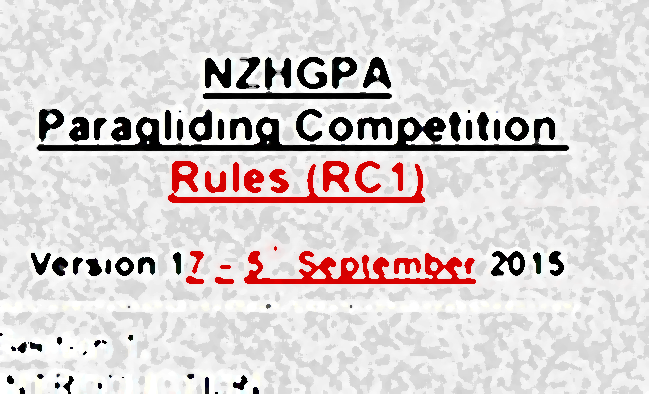 The PCC has released version 17 of the Paragliding Competition Rules for review. If there have been no significant objections then these will become the official rules on the 22nd of September 2015. There are numerous changes. 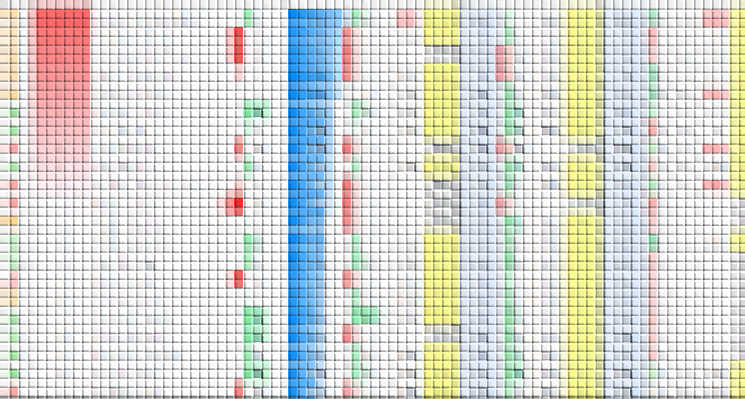 The changes are all clearly marked in red, and the significant ones have been numbered. NZ proxy vote at this plenary). expensive, and the overall cost about the same as other years. complex as one might expect for an international sporting association. details on IPPI cards, see the CIVL website. aerobatics. The majority comes from paragliding events. 2. WPRS ranking equation changes. next plenary with rock solid votable proposals. 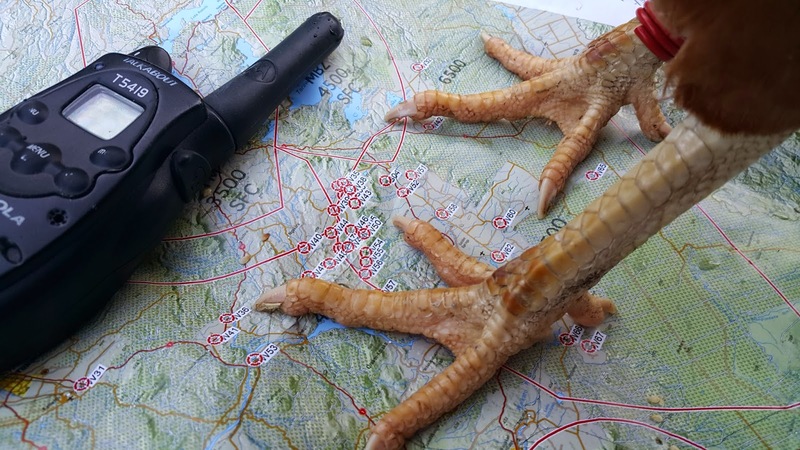 deal of evidence that using WPRS ranking is a good measure of safety. field a full team to future championships. are potential entrants, but something to think about if anyone is. 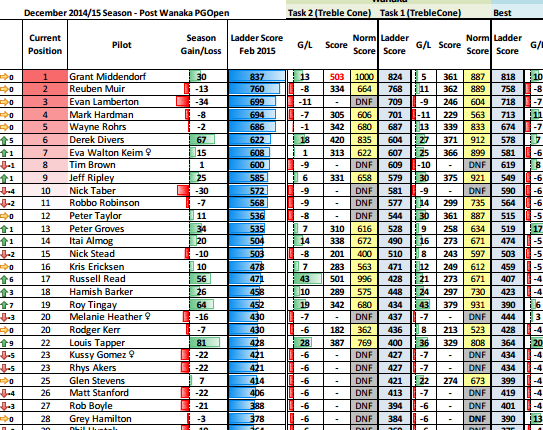 probably a good idea to organise a couple of home events first. 6. New CIVL President and new CIVL Bureau members. members were Adrian Thomas (UK) and Wahyu Yudha (Indonesia). and new career demanding a higher priority of my time and attention. will bring good outcomes for our sports. published on the FAI/CIVL website. to play their part in CIVL's now 40 year history. 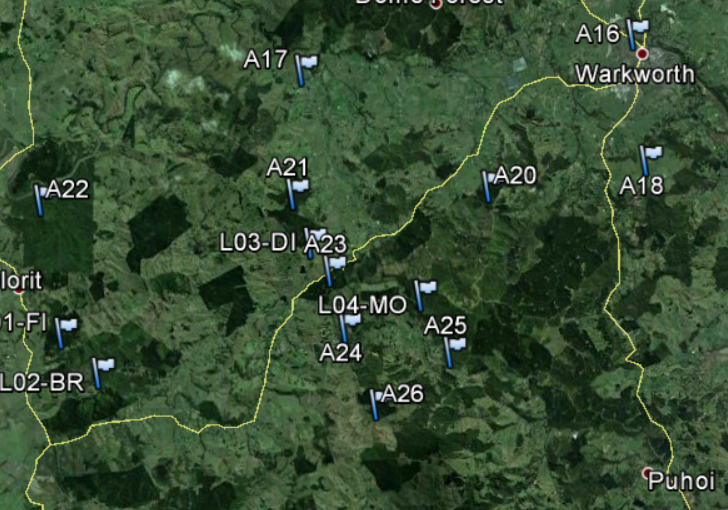 Now includes results from Corryong and Auckland competitions. 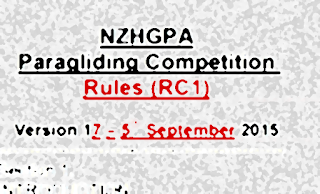 There will be one more Auckland Regional Paragliding Competition before the end of the season - this is probably the last final competition of the NZ season. The Tourism Industry Association (TIA) is running fifteen Support/Adventure Safety Systems Workshops around the country over March & April this year. CAA will be present at some presentations. To register or for more information go to the Support Adventure website, or directly to safety-systems-workshop.